Parkinson's is a neurological disorder where the degenerative changes often impair the sufferer's motor and sensory functions. The cause of this disease is unknown. It is a progressive disease of the elderly which commonly affects the males than females. In Ayurveda, this disease is called as 'Kampavta'. It is one among Vata Nanatamaja Vyadhi's. That means definitely there will be vitiation of Vata dosha. It is a Vata Pradhan Tridoshaj Vyadhi. Vata is responsible for all the movements in the body. Because of that, the symptoms pertain to the locomotory system. WHAT ARE THE CAUSE OF PARKINSON'S DISEASE? Still, the cause of this disease is unknown. As we know, this disease is a result of reduced production of Dopamine in the Brain-stem. A Lack of dopamine affects our gait and produces rigidity in the body. 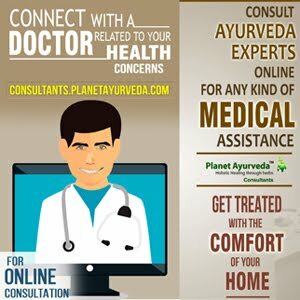 According to Ayurveda, vata is the cause, so all the factors which are responsible for vitiation of Vata dosha are causative factors of this disease. Few drugs - Ethanol etc. History of neuron-degenerative diseases like – Alzheimer's disease. 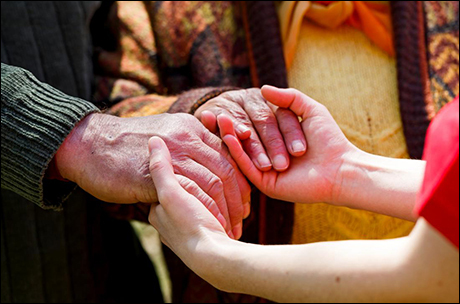 Kampa (Tremors) – Usually patient complains of shaking hands thus, unable to hold things properly. Most of them show 'pill rolling tremors'. Stambha (Rigidity) – The patient feels stiffness in the muscles. Vak vikruti (Dysarthria) – Slurred speech that can be difficult to understand. Cognitive dysfunction – The loss of intellectual function. Loss of facial expressions – This is because of muscular rigidity. Gait abnormalities – The person is unable to walk in the usual way. Diagnosis is completely made on clinical signs and symptoms. The following investigations may help in diagnosis. It is caused by vitiated Vata Dosha. So, Vatahara treatment should be given to these patients. Initially, we should start with the medicines which are capable enough to pacify Vata dosha, later on, switch to rejuvenating medicines. Nidana Parivarjana – Avoid vata vitiating factors. Shodhana Chikitsa (Purification measures) – Shodhana chikitsa helps to eliminate toxins from the body and balances Tridoshas. These therapies help to pacify the vata dosha in our body and also help to rejuvenate the neurons. For these therapies we can use – Bala-ashwagandha oil, Ksheerbala oil, Bhringamlaki oil and Mahanarayan oil. Kappikachu (Mucuna pruriens) – Kappikachu or Kounch beej is the main herb for treating Parkinsonism. In Mucuna Pruriens, the main compound is levodopa or L-dopa. 'Levodopa' a precursor to dopamine which is reduced in patients of Parkinson's. Ashwagandha (Withania somnifera) – It has mainly rejuvenating property and acts as a nerve tonic. Ashwagandha is available in the form of tablets or churana's. Dosage – one teaspoon or one tablet twice daily along with milk. Vacha (Acorus calamus) – Slurred speech is observed in these patients, to improve that Vacha churna is beneficial. Brahmi (Bacopa monnieri) – It is a brain tonic, which helps to rejuvenate neurotransmitters producing cells. Guduchi (Tinospora cordifolia) – It helps to balance Tridoshas. Shatavari (Asparagus racemosus) – It is a balaya medicine. Pippali (Pipper longa) – Enhances immunity. Pippali acts as a catalyst, if used with other medicines it will enhance their function. Shankhpushpi (Convolvulus pluricaulis) - Effective in cerebral abnormalities. Musli (Chlorophytum borivilianam) – It has balaya and bruhana quality, which supports our nervous system. Kushmand (Benincasa hispida) – It is also one of the Medhya medicine explained in our classics. Gotu kola (Centella asiatica) – Brahmi helps in treating dementia. Jatamansi (Nardostachys jatamansi) – Jatamansi actively leads to improvement in learning ability and memory. Dashmoola – dashmoola means 10 herbal roots. It is a very effective formulation to pacify Vata dosha. The ingredients are- bilwa, agnimantha, shyonak, patla, gambhar, bruhati, kanthakari, shalparni, prishnaparni, gokshura. Triphala – Haritaki, vibhitaki and amla are the three medicines which have laxative properties. Usually, patients of Parkinson's complain of constipation. Even clears the channels by removing the toxins from the body. Amla (Indian gooseberry) – It is a Vayasthapaka herb. It is also an antioxidant rich fruit, thus helps to rejuvenate the neurons and even increases the dopamine production. Rasona (Allium sativum) – Rasona helps to clear the channels as it has tikshana, ushna, sukshma and vata - kapha shamak properties. WHAT ARE THE HOME REMEDIES FOR PARKINSON'S ? 1. One should take a diet which is rich in beta carotene like kushmand (Pumpkin) and all gourd family vegetables. 2. One should add flax seeds (Linum usitatissimum) in the diet. Meaning – The meaning of this shloka goes as – ruksha (dryness), laghu (lightness), sheeta (coldness), sukshma (enters minute channels) and chala (always moving) are the qualities of vata. So, one should avoid the foods and their routine works which aggravates these qualities in your body. 4. Adding milk along with ghee in your diet is helpful. 5. Consumption of shali (Old rice), godhuma (wheat), lashuna (garlic) proven to be beneficial in this condition. 6. This disease affects your ability to move, but exercise can help to keep muscles strong and flexible. 7. Avoid peas, fermented foods, citrus fruits, and unwholesome diet. 8. Adding head and foot massage in your routine is beneficial. 9. One must indulge themselves in Meditation and Yoga.